I have finally gotten to the last post of my Peru trip that happened over two years ago. This post is the reason it took me so long to finish this series. This post will also probably be a bit shorter since my mind doesn’t care to think of it. The last morning of our Trek we woke up pretty early in the morning and were on the trail long before dawn broke. 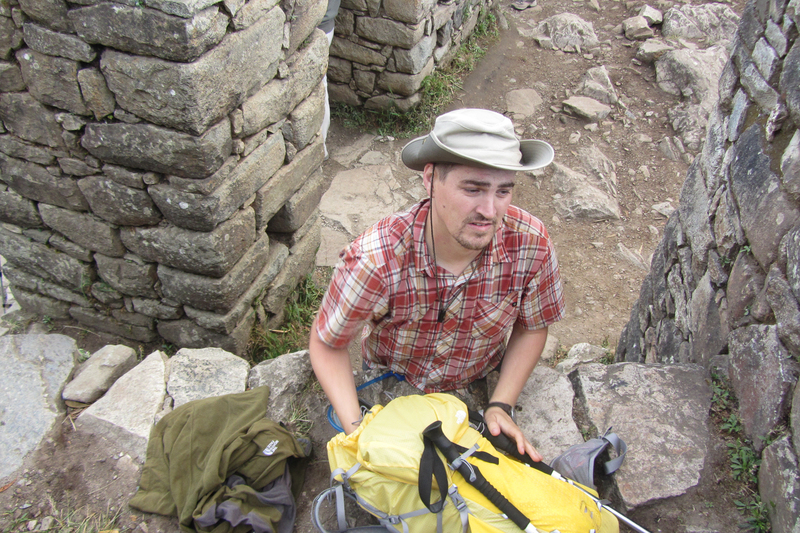 We gathered up our belongings that we wanted to take with us to Machu Picchu, and headed down the trail a little ways. Then we were stopped by line of people that were all waiting to finish hiking the rest of the way. After about a half an hour of sitting there in the dark, the line started moving, and soon enough we were on our way through the last checkpoint and on our way to the end of our adventure. Hiking along in the pre-dawn my stomach started aching some. It seemed like I had some bloating and mild pain in my stomach. We kept on moving and I just ended up trying to adjust my backpack so my stomach wouldn’t hurt so much. 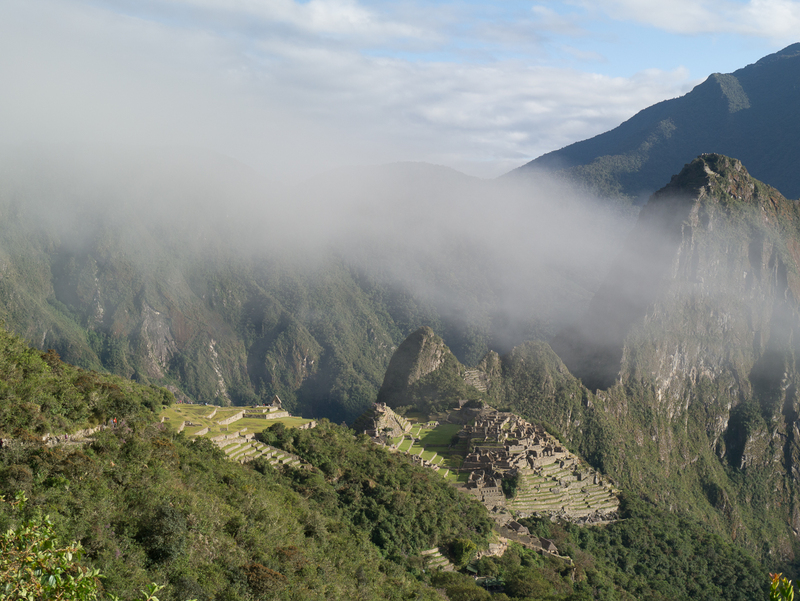 Right about when the sun was coming up over the mountains, we reached Intipunku (Sun’s Gate), the first real good look of Machu Picchu. We stopped here for a break and some picture taking, and I ended up rushing off into the bushes to start my own adventure of the Peruvian stomach flu. As we arrived at Machu Picchu, our guide led us around the site and showed us some of the intricate stonework and told us some of the history of the place. During this time most the people were all trying to get in the shade, and I couldn’t get warm enough standing in the sun. I knew something was seriously not right with me. After only spending an hour or so at Machu Pichu, I told my family I had to head down to the hostel and beg to let me in one of the rooms. They decided they had enough with the crowds and realized they enjoyed all of the other magnificent ruins along the way better than they did Machu Picchu (Probably because the lack of people at the other sites). After yet another pitstop to the restrooms, we boarded a bus and headed down the very long winding road with several hairpin turns and steep drop off’s. It looks like a road that would barely be able to fit one bus .. let alone two passing each other at times. 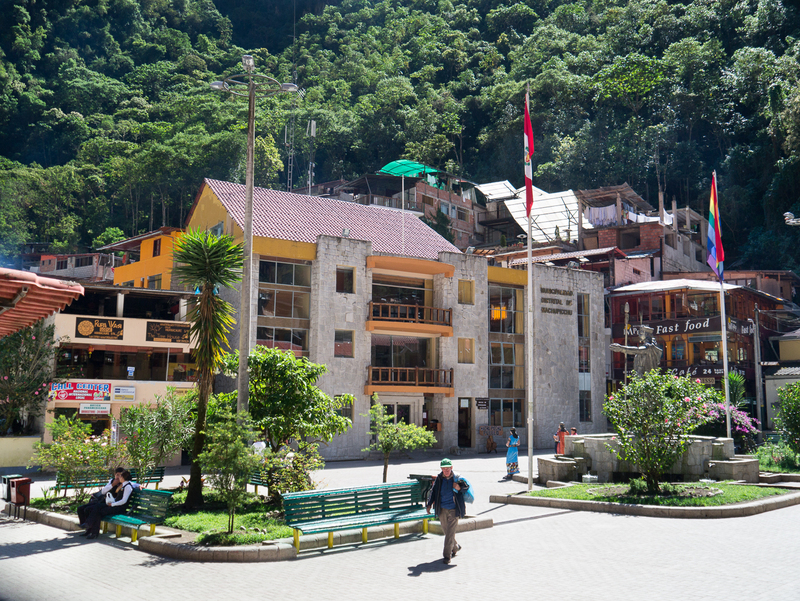 Luckily when we got to the bus stop, it was only a short walk to Hostel Viajeros. After telling them what I was going through, they got a room ready for me and let us check in early. My room was a very cramped double bed room that had no windows to the outside and was very stuffy. Luckily there was at least a bathroom attached to the room. I curled up on the bed and took turns napping and spending more time on the pot. That afternoon I woke up and thought I was feeling a little bit better, and was feeling hungry since I hadn’t eaten anything all day and had either thrown everything up or it had come out the other end. So I decided to be a little brave and head out and try to find some Gatorade and something easy to eat. I wandered through a really neat market that had all sorts of fresh fruit and veggies. They also had whole animals butchered and hung up, ready to be cut to whatever you wanted. It wasn’t long or far from the motel that my stomach started hurting again and feeling queasy, then light headed. I headed back to the Hostel, but didn’t quite make it. All I wanted to do at this point was to curl up in the shower and take a hot shower. But all that would come out was cold water (It’s nearly impossible to get a hot shower in Peru). The rest of the night I spent with a nasty flu that would leave me shivering cold one moment, then dripping with sweat the next. 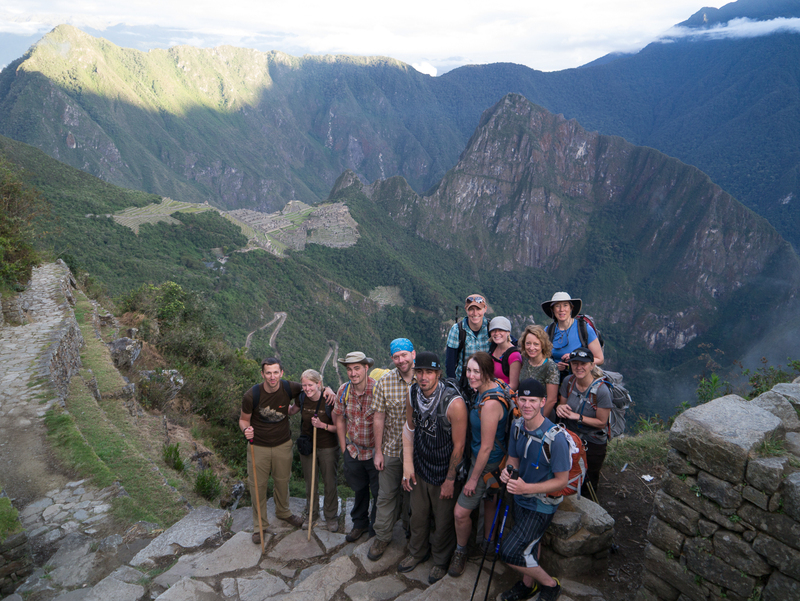 The next morning everyone by myself headed up to hike Huayna Picchu which is the mountain that looms over Machu Picchu. From what they tell me it was an amazing hike with spectacular views, but some scary parts on the trails. 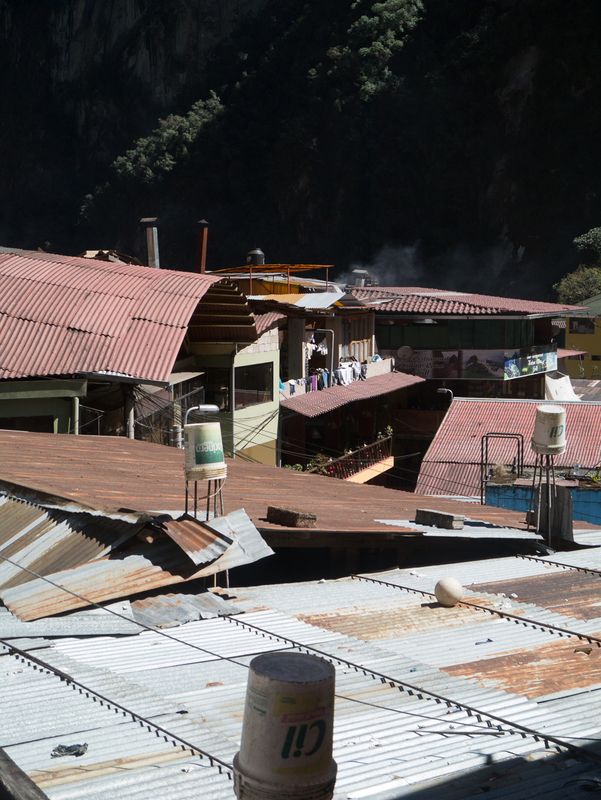 This seems to be some of their most memorable moments of the trip, so if you make your way down there, opt to do the hike up Huayna Picchu. That afternoon, after they got back from their hike, we made our way down to the train station. 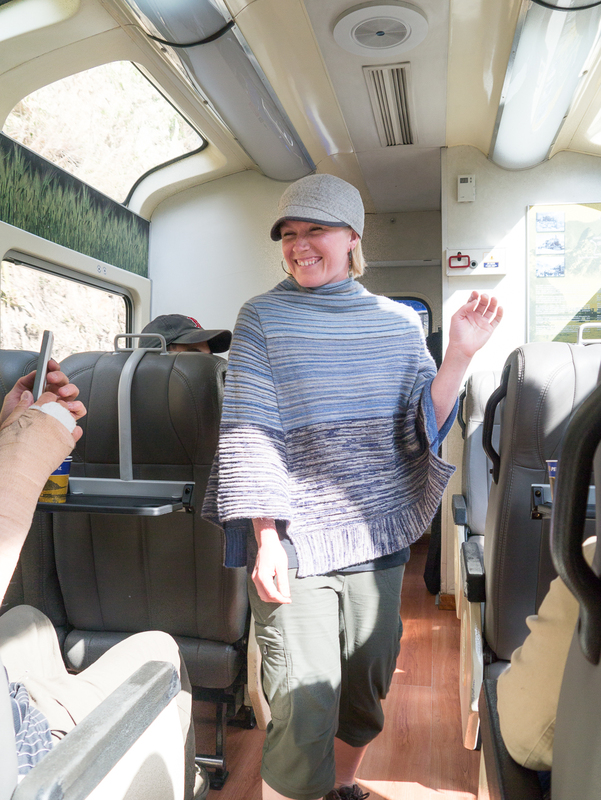 We took a train from Aguas Caliente back to Ollantaytambo. The train ride was nice with some great views, and even included dancers in costumes, and, a fashion show in which Mandy was one of the fabulous models. From Ollantaytambo we took a bus the rest of the way back to Cuzco. 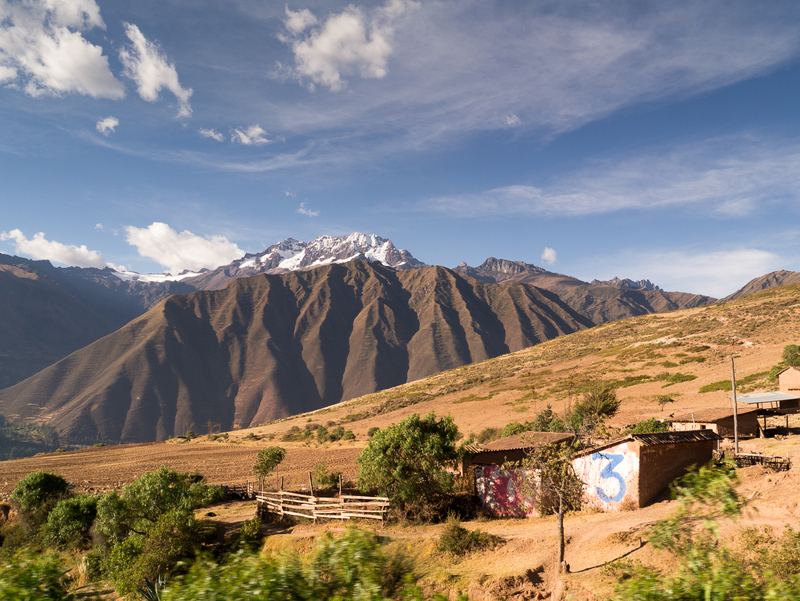 The bus ride passed several small villages, farmlands, and stunning landscapes with high mountain peaks looming in the background. Once back at Hotel Marques, I ended up staying the rest of our trip attached to the room, until the next morning when they kicked me out of the room and wouldn’t let me extend my stay even though I was sick. I ended up just sitting in their courtyard and tried to keep warm in the sun, while not venturing too far from their restroom (It was a strange cave like restroom .. but at least it was a regular toilet that flushed). 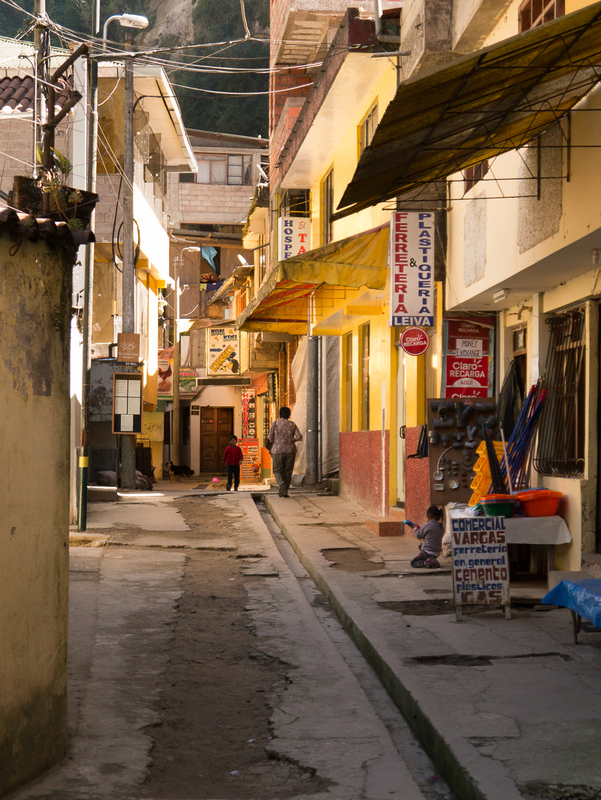 After the family did some bumming around Cuzco and bought more souvenirs, we took another crazy taxi ride through the city to the airport and started our journey back home. We had another layover in Miami, this time I wasn’t fit to drive so someone else took the wheels as we headed down the Florida Keys. We stopped and did some kayaking in the mangroves where we got to see some crocodiles. Then we stopped at some small joint and then got us some delicious key lime pie before heading back to the airport and back home to Denver.